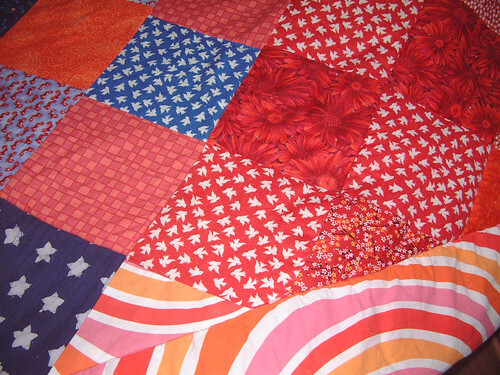 I found these pictures on the computer which brought me to thinking about big quilts again after a long time focused on baby quilts. Well that and teaching a class this afternoon at Cloth and Bobbin, surrounded by quilters and gorgeous fabric. 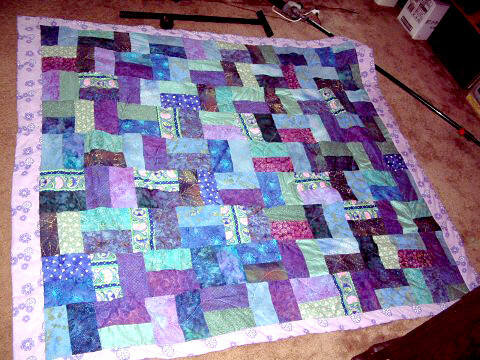 This is the quilt for Sean’s (my brother-in-law) high school graduation. Don’t look too close at how the squares line up, I didn’t know all the tricks then. Not all men would enjoy a quilt but Sean bought me a quilting book one christmas and asked where HIS quilt was for months following. The purple was for Aunt Fran’s wedding. 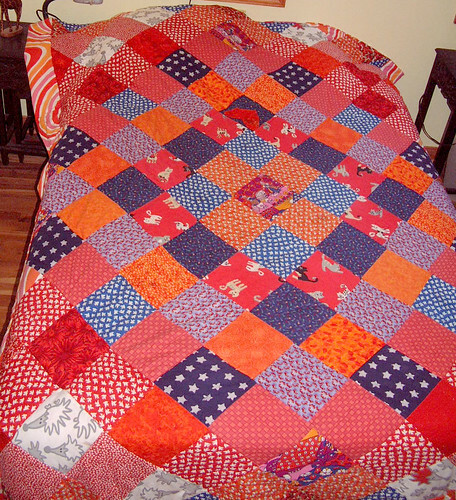 It was a quick 3 or 4 day quilt, and I think she loved it because I got this picture a few weeks later, showing it was getting good use!